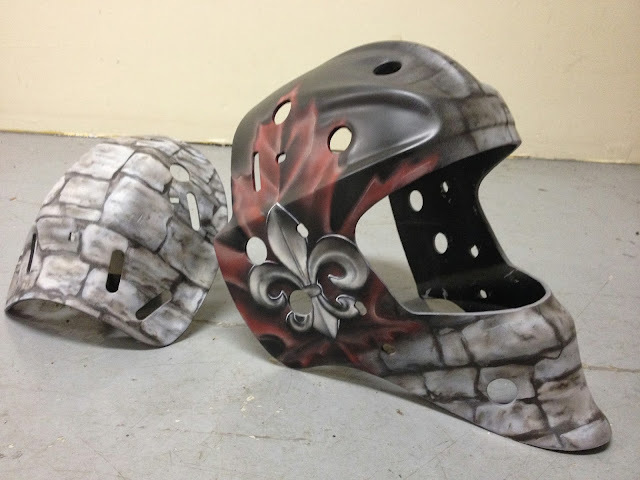 I've been trying my hand at airbrushing lately, and my brother asking me to do his helmet was the perfect opportunity to practice. For the really small details I used a paint brush...it'll take a looong time before I can get those small of marks with an airbrush! 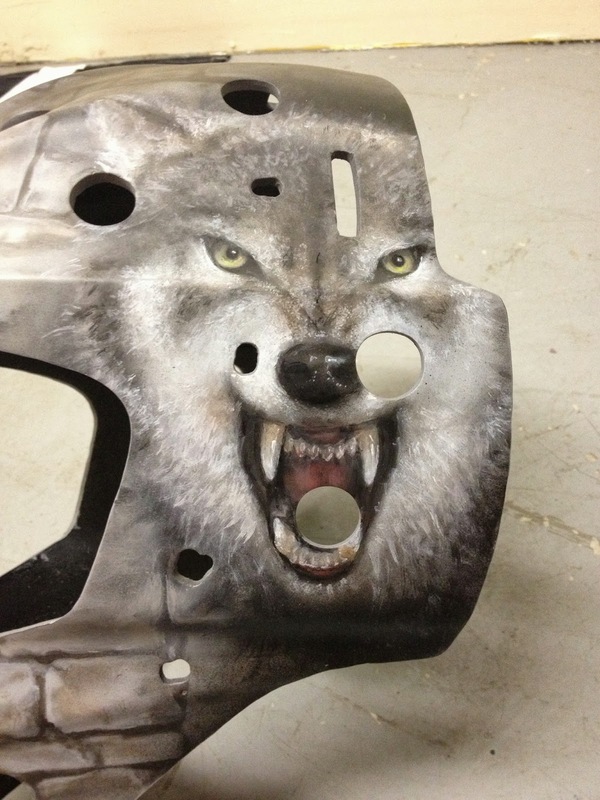 His hockey team's logo is a wolf that is design as a cartoon. He asked if I could make it look more realistic so I used the placement of features from his logo but referenced pictures of wolves for the rest. 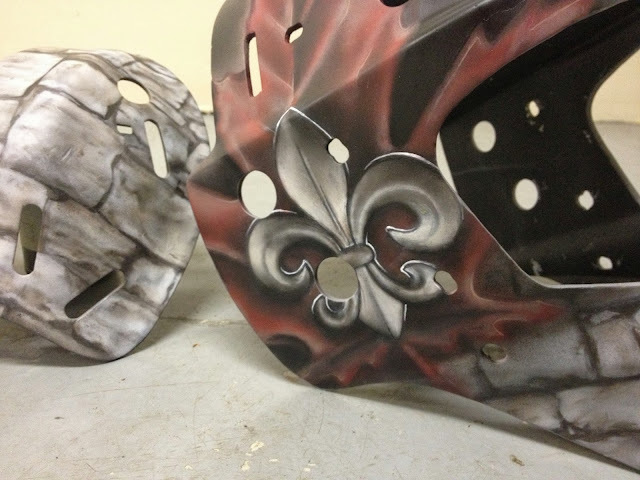 He has a tattoo of a fleur de lis inside of a maple leaf on his calf. It is different colours and a different style, but I made the fleur de lis look similar to metal to match the cage. 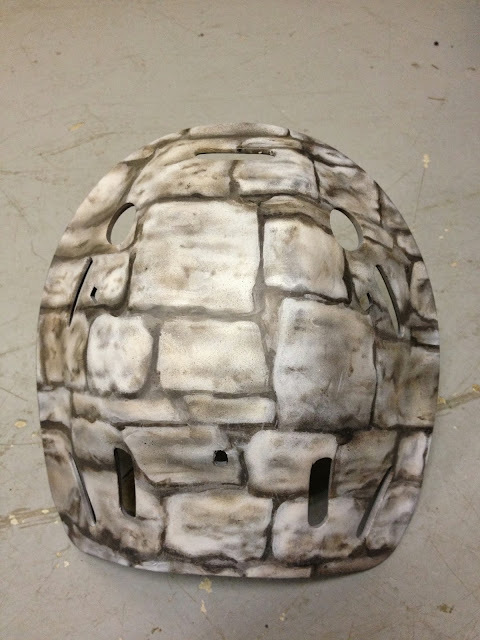 Apart from being the popular "brick wall in front of the net", he's also a stone mason which makes the stone pattern significant. Your work is very impressive Amy. 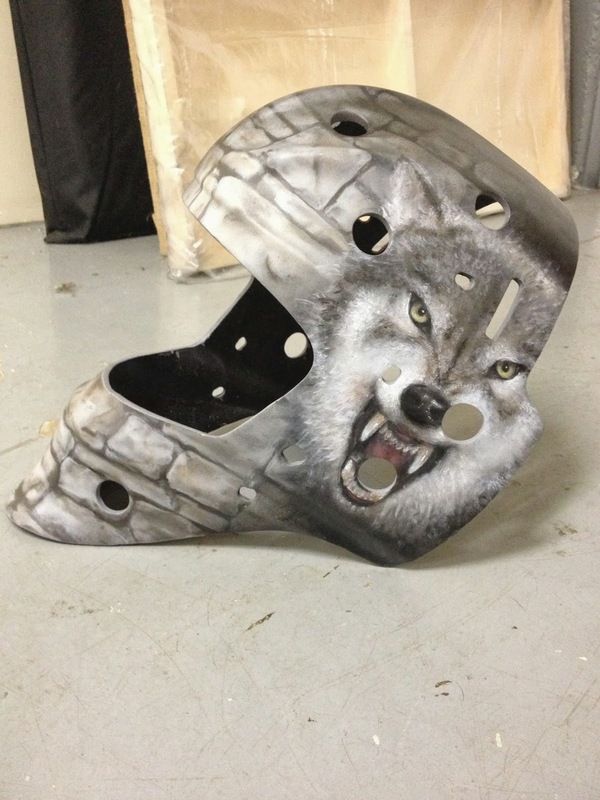 One of the best wolf goalie masks I have seen. i would love that on mine. Progress of "Ken in Repose"